Today I was able to score a free 8x10 photo from Walgreens (worth $3.99). 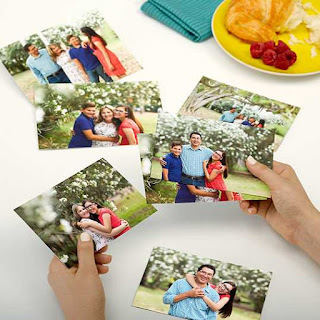 I usually like to check out the blog Money Saving Mom at least once a day to see if there are any deals I could use and Money Saving Mom is awesome of letting you know when a deal for free photos is available, I have had at least eight free 8x10 photos printed from Walgreens over the past few years. I paired the free photos with Dollar Tree frames and have them hanging in our upstairs hallway as part of a fun gallery with photos from vacations and fun outings we have done as a family.